Italian composer. Born of a noble Neapolitan family (he became Prince of Venosa), he probably studied music with Pomponio Nenna. Temperamentally he was given to excess, and the sensational murder of his first wife and her lover in 1590 was one of the great sixteenth century musical scandals. His second marriage, to Eleonora d'Este, gave him contacts with the musical circle of Ferrara and the poet Tasso whom he befriended. 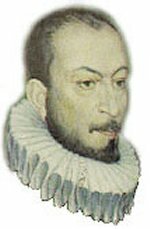 Gesualdo's output consists of six volumes of five-part madrigals, published from 1594; two books of motets and one of responsories; and a few keyboard works. Though from the south, he is linked by his visits to Ferrara and his friendship with Tasso with the 'mannerist' madrigalists of northern Italy. Wayward harmonies in his earlier madrigals develop, in his later ones, into wild and passionate juxtapositions of fast and slow motion, and of total and extremely chromatic harmony. 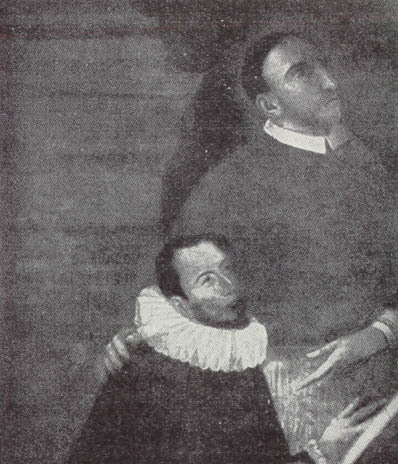 These violent contrasts seem to reflect Gesualdo's neurotic personality; from a stylistic viewpoint his harmonic experiments are more the ultimate outcome of sixteenth century harmonic vocabulary than prophetic of the music that was to come; it was only in the eccentricity of his melodic lines that some monodists followed . Watkins, Glenn, Gesualdo, The Man and His Music, London, 1973. Gray, Cecil and Heseltine, Philip, Carlo Gesualdo, Prince of Venosa, Musician and Murderer, London, 1926.